Want to expand your culinary horizons this autumn, or any time of year? Try using fresh pumpkin instead of canned pumpkin puree. There's something about a fresh pumpkin that can't be beaten, whether you add it to pumpkin pie or any other dish. Choose a "sugar pumpkin" or "pie pumpkin." Some have names such as Ghost Rider, Baby Pam, Autumn Gold, New England Pie Pumpkin, Lumina, Cinderella, and Fairy Tale. Pick one between four to eight pounds; it's okay if the outside looks dull, just avoid bruises or soft spots. Just follow these simple directions to prepare your pumpkin for baking and see why baking with fresh pumpkin instead of canned is such a delight. Place the pumpkin in the microwave. Microwave the pumpkin on high for two minutes. Pierce the entire pumpkin skin deeply with a fork or metal skewer. Microwave it on high for another two to four minutes. Remove the pumpkin from the oven and wrap it in foil. Scrape out the pumpkin pulp. Don't use those huge pumpkins that are used for jack-o-lanterns. The meat is tasteless and dry. 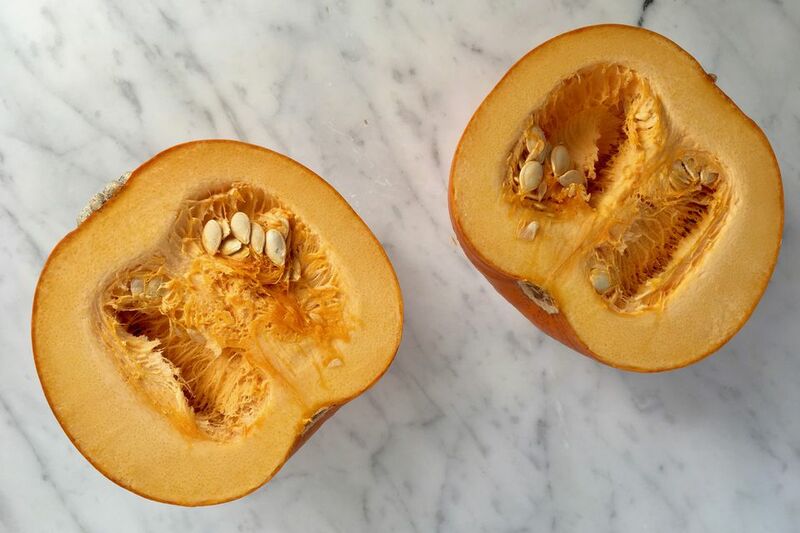 Pick what is called a "Pie Pumpkin", which is the size of a softball or cantaloupe. The entire pumpkin should be completely dotted from the piercing. About two cups of pulp are needed to make a 9-inch pie. A 15-ounce can of pure pumpkin holds about 1-3/4 cups of densely-packed pulp. What Is Yeast and How Is It Used in Baking? Are You Measuring Your Baking Ingredients Wrong? Is Italian Parsley the Most Versatile Herb?